This is the pack of six with the ink refill cartridges. I can’t find the purple… it’s hiding somewhere in my house. One day at work, I did something I’ve done countless times before. I wrote something on the whiteboard, realized the whiteboard marker was dying, and I chucked the whiteboard marker in the garbage. That whiteboard marker will go to a landfill, where it will sit there for the next 5,000 years. While this problem is not usually associated with white board paint, it is true that whiteboard markers are not necessarily environmentally friendly. “What a waste…” I thought. I went searching for a solution, and found AusPen. 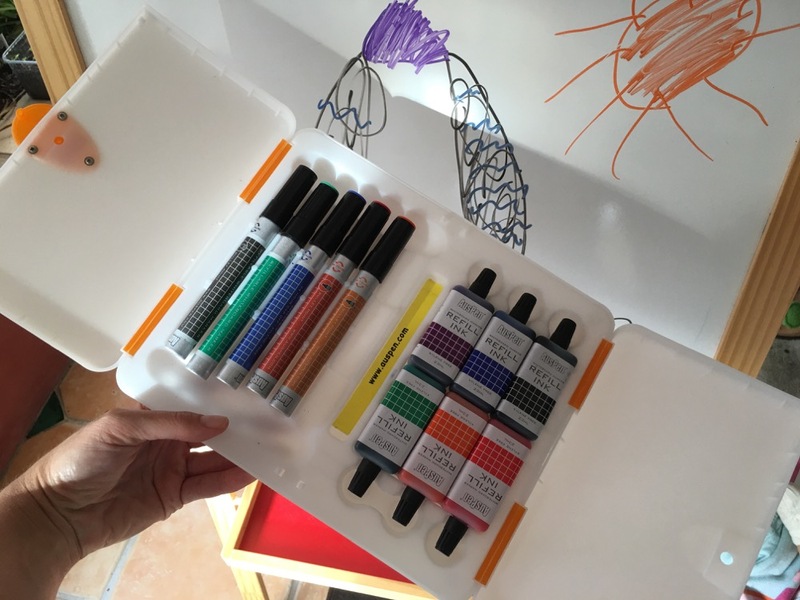 AusPen is an Australian owned small business and they make awesome reusable whiteboard markers. …In America alone, there are around 400,000,000 white board markers thrown out by schools, universities and other learning institutions each year? And, in Australia, where I live, they estimate that the figure is about 40,000,000. Imagine how many whiteboard markers that is if you add the rest of the world! Now, imagine a mountain of whiteboard markers that’s half a billion markers high?! Every. Year. Yikes! Posted in Product Reviews, Reviews and tagged Auspen whiteboard markers, environmental friendly whiteboard markers, environmentally friendly markers, we throw away so many whiteboard markers. Bookmark the permalink.